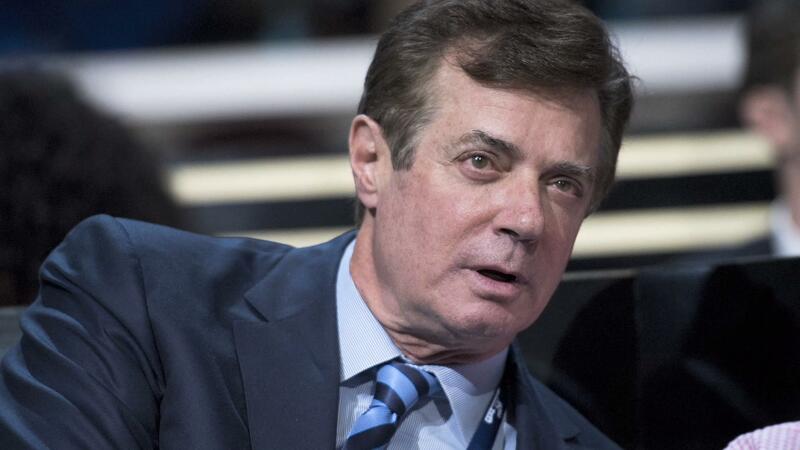 New York prosecutors have subpoenaed records relating to loans made to former Trump campaign manager Paul Manafort by a bank owned by a Trump campaign adviser, a source familiar with the matter told The Wall Street Journal. The Manhattan district attorney's office is demanding documents containing records of up $16 million in loans made by the Federal Savings Bank, a small bank where President Trump's former campaign adviser Steve Calk serves as Chairman and CEO. Real estate records show the bank issued the loans for the two properties in New York and a condominium in Virginia. The WSJ's source said they were issued to Manafort and his wife. Calk was a member of Mr. Trump's economic advisory panel, and was familiar with Manafort before both were associated with the Trump campaign. Around the time the loans were issued to Manafort, Calk had expressed interest in becoming Army Secretary, according to WSJ. Prior to his role in the Trump campaign, Manafort spent years working as a political consultant for a pro-Russia group in Ukraine. In June, he retroactively registered as a foreign agent, saying his firm received more than $17 million from the Party of Regions, the former pro-Russian ruling party in Ukraine, for consulting work from 2012 through 2014. Manafort is included in the group of Mr. Trump's associates being investigated in connection to Russian meddling in the 2016 U.S. presidential election after it was discovered that he was present in a meeting held at Trump Tower with Donald Trump Jr., Jared Kushner and a Kremlin-linked lawyer. Trump Jr. released a series of emails via Twitter last week, confirming that he was told the meeting would reveal allegedly damaging information about Hillary Clinton as part of the Russian government's support of Mr. Trump. Both Calk and a spokesman for Manafort declined to comment on the subject of the loans to the WSJ, although Calk had previously said the loans were standard and had sufficient collateral. In May, Manhattan District Attorney Cyrus R. Vance Jr. and New York Attorney General Eric Schneiderman began examining real estate transactions made by Manafort in search of money-laundering and fraud signs, according to the WSJ. According to a federal report, Calk's bank's loans to Manafort equaled nearly 24 percent of the bank's $67 million of equity capital. Schneiderman's office has also sought information regarding New York investment deals involving Manafort's son-in-law Jeffrey Yohai, which an FBI agent in the Los Angeles area has also requested, according to the WSJ. The WSJ also reported in April that federal investigators requested Manafort's banking records from Citizens Financial Group Inc.